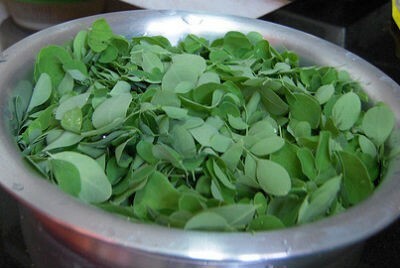 A popular rasam variety in Kumbakonam, Thanjavur, Kancheepuram and surrounding districts of TamilNadu. 1. Boil the keerai and drain well. 2. Separately boil the dal with turmeric powder and keep aside. 4. Add the tomato puree and after 2 minutes add rasam powder, cumin powder, curry leaves and coriander leaves. 6. Fry the mustard seeds in little oil and add to the rasam. 8. Add dal and keerai. 9. Simmer for a few minutes. Add some water if desired. 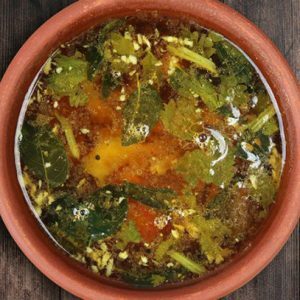 Feel free to comment or share your thoughts on this Murungai Keerai (Drumstick Leaves) Rasam Recipe from Awesome Cuisine.